In October 2016 we were excited to replace our flagship vehicle, A1 TPT, with a brand new V4 Volvo tractor, which was finished in a commemorative livery. This new vehicle will guarantee a secure and reliable service for our clients for many years to come. In November 2016, we reached yet another milestone and achieved our S.Q.A.S. Accreditation following a number weeks of preparation. 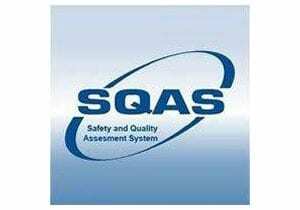 The S.Q.A.S is a system to evaluate the quality, safety, security and environmental performance of Logistics Service Providers and Chemical Distributors and by achieving this accreditation we can stride into the new year as a stronger player in an already competitive market. 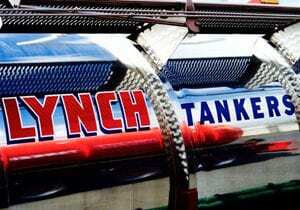 At Lynch’s, we are always looking to better serve our clients in both the range of services supplied and capacity. With this in mind, in December 2016 we took delivery of a new state-of-the-art rubber lined barrel, built by Crossland Tankers. This barrel is dedicated for Sodium Hypochlorite deliveries for both U.K. and European destinations, thus further expanding our range of capabilities for our clients. We also took delivery of two new Volvo tractor at our head office at the Sandbach depot, PK66 PPV, PK66 PPX. These replaced two of our older units which had served the Company well! 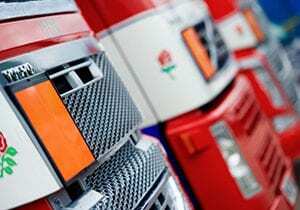 We are always ensuring that our vehicles are performing to the high standard required and are well maintained to provide that 5* service which our customers know us for. January 2017 will see the delivery of another new General Purpose barrel to add to our existing, expanding, G.P. fleet. We are also looking forward to taking delivery of two new tractor units this March/April to add to our growing fleet as part of our expansion plan. 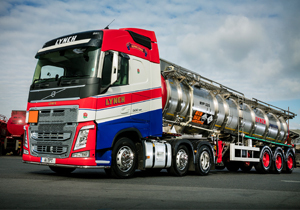 Our target is to achieve 43 high performing units in the Lynch fleet, which is becoming more of a reality with each passing month.